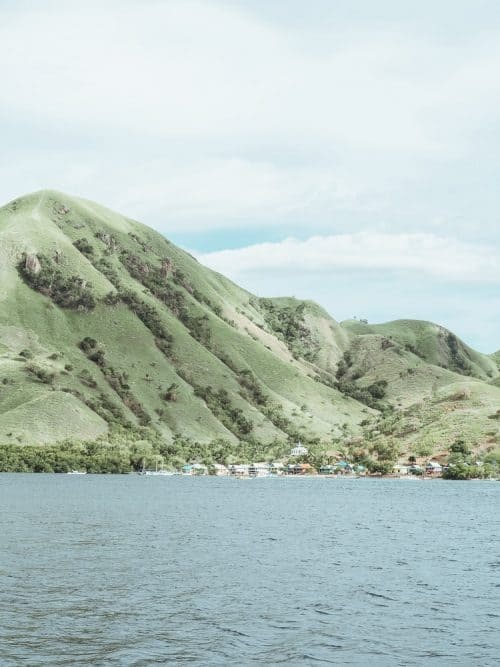 The Komodo Island Tour had been high on my bucket list for years and it definitely exceeded my expectations! 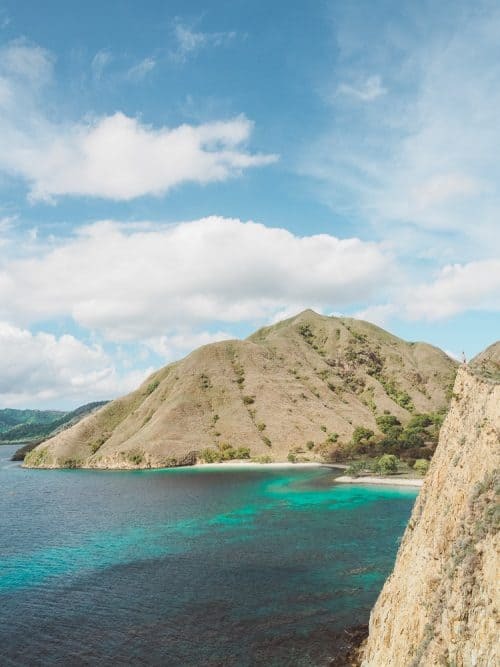 Here is a complete guide of the Komodo Island Tour and what to expect! 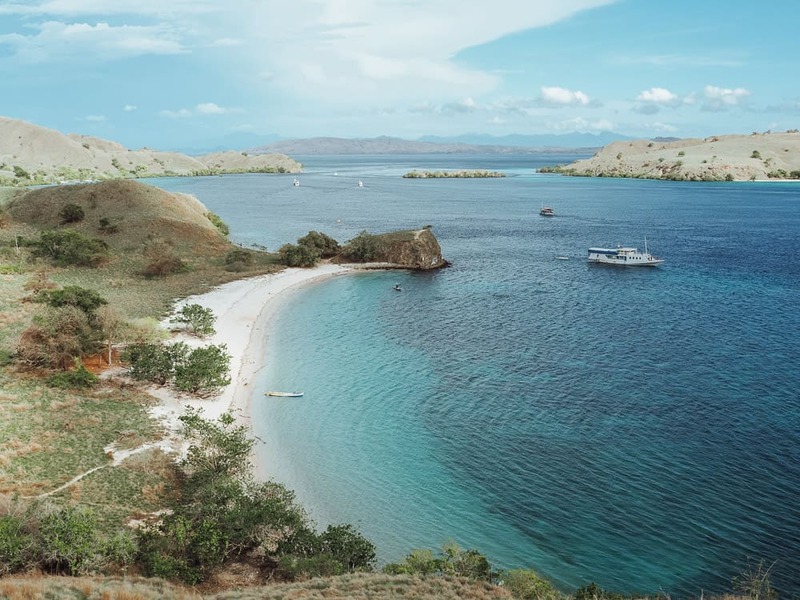 Booking your Komodo island tour is quite easy. You can book online in advance to guarantee the best price. 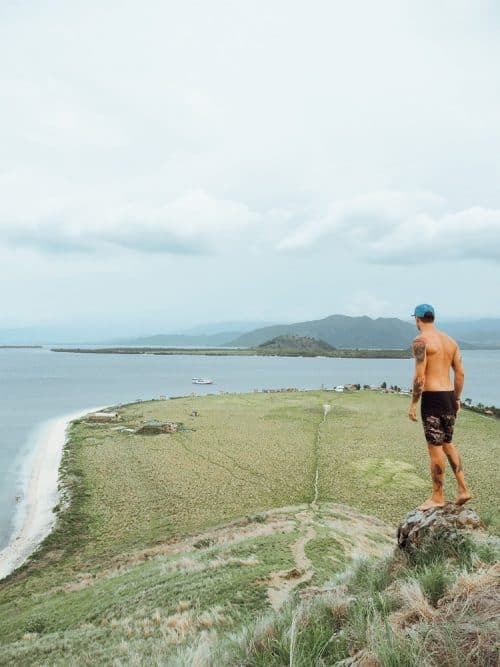 Alternatively, you can book a Komodo Island Tour at one of the tourist offices located throughout the main city areas of Bali such as Canggu, Seminyak, Kuta, Ubud and Uluwatu. 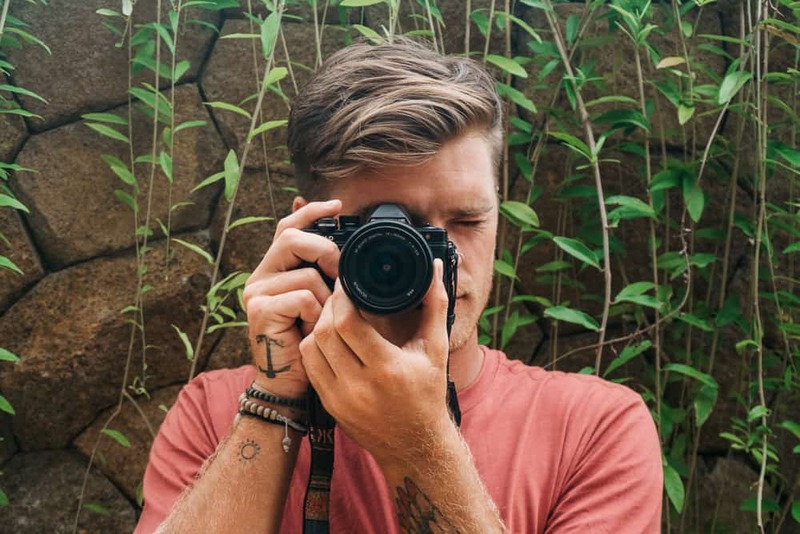 I booked my Komodo trip at a small tourist office in Canggu and I paid 1,650,000 Rupiah ($120 USD). 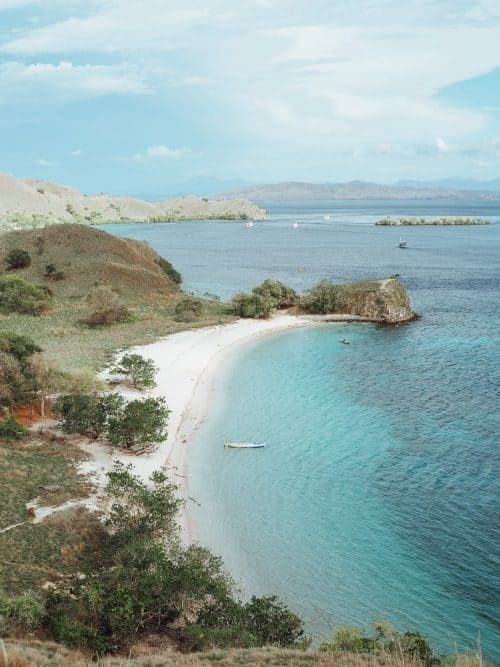 This includes transport from Bangsal Harbour or Sengiggi Harbour in North Lombok to Labuan Harbour in East Lombok, which is where this particular Komodo Tour starts from. 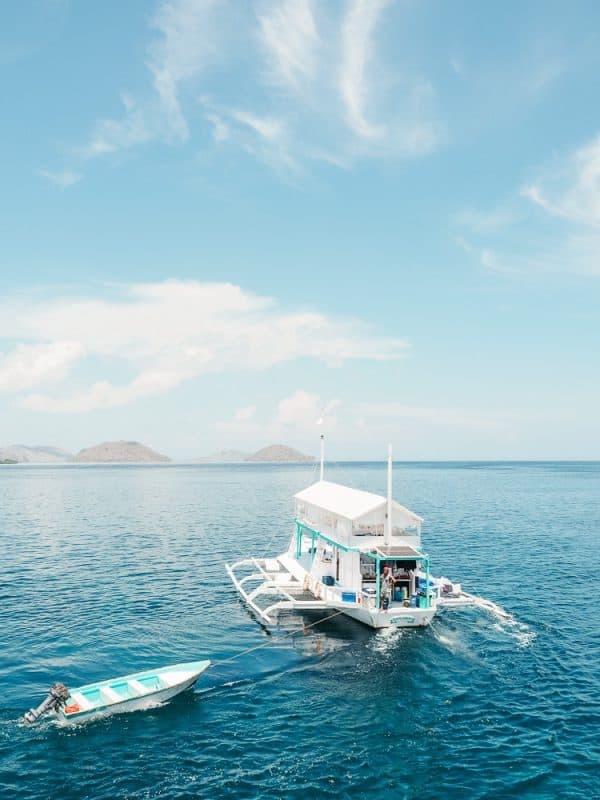 On board the boat, you are provided with a bed with a blanket and pillow, drinking water each day, three meals per snorkelling gear, as well as the entrance ticket to Komodo National Park and Rinca Island National Park. 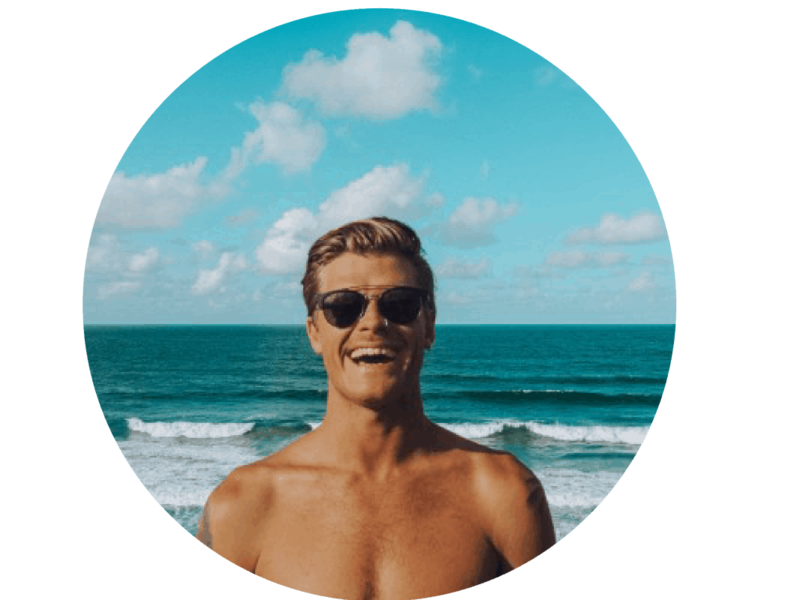 This price does not include the boat trip to Lombok if you are coming from Bali or any other island. I had to book a separate speed boat ticket through the same agent to get from Bali to Bangsal Harbour in North Lombok. This cost me an extra 250,000 Rupiah and included transport from my accommodation in Bali to Padang Bai Harbour. The morning began at 6am and I was picked up by the boat company shuttle bus from my villa in Canggu, Bali. I then drove for 1.5 hours drive to Padang Bai Harbour, before embarking on a 1.5 hour boat trip to Bangsal, Lombok. I was greeted by the Komodo tour operators at the harbour and there was another shuttle bus waiting to drive me to Labuan Harbour in East Lombok. This drive took 3 hours through some of Lombok’s most serene countryside. Finally, after 6 hours of commuting, I arrived at Labuan Harbour and the live-a-board boat was getting ready to set sail. There were around 15 other backpackers from various countries on the same tour and straight away I knew it was going to be an epic adventure! The boat departed and the crew started to prepare lunch for us all. Our meals over the 4 days were a range of local Indonesian dishes such as nasi goreng, mi goreng, boiled vegetables, chicken, tofu, tempe, fish, curries, pancakes, fruits, tea and coffee. However, not many snacks were provided between meals so it’s best to buy a bunch before the trip. Also, there is no alcohol for purchase on the boat so it is best to organise this beforehand. Our first stop was Kenawa Island, a slice of green paradise in the middle of the ocean. There are a few small beach huts at one end and a tall peak at the other. I followed a dirt trail right to the top for panoramic views of the island. We were stopped here for an hour or so to explore. Dusk was upon us so we made it back to the boat and continued to sail towards the next destination. I watched the sunset from the deck of the boat which was absolutely spectacular and a perfect end to a long day. Dinner was served and I tucked into bed shortly after eating. Our first stop today was to Moyo Island. A dense rainforest with an apparent waterfall a short trek in from the beach. We trekked in along a skinny dirt trail and across several small creek crossings till we arrived at the waterfall. The water at the bottom is shallow and muddy so we climbed to the top of the falls, via a rope that was tied to a tree, and at the top was a clear water rock pool with a tree swing. We spent some time here swinging and jumping into the rock pool from the tree! After the waterfall, I went for a quick snorkel around the reef before leaving to the next spot. We sailed through the day soaking up some rays on top of the boat and anchored up that afternoon off the coast of Kilo Island. A small taxi boat approached our boat and was offering to take all of us over to a small local village to wander around. It cost $5 for the ride to the island and back. We spent the night in a tucked away cove and enjoyed another spectacular sunset from the boat. Another early rise and ready for the day ahead. I had a little stretch to wake up and then sat down on the bow of the boat, dangling my legs over the side. I noticed something glowing in the water as we slowly sailed east. There were thousands of tiny glowing plankton surrounding the boat, making it seem like we were sailing through space. If you’ve seen the movie Life of Pi, you might have an idea of what I mean! A rare but awesome sight so be sure to keep an eye out for this. Shortly after breakfast was served, a large pod of dolphins started splashing around the boat. The ocean water was so glassy and clear that I could see the dolphins swimming and playing around under the boat. Safe to say that this day was off to a great start. Our first stop was to a small cove for a swim and a snorkel. I was taking every opportunity I could to launch myself off the boat and get in the water to rinse off. It was the only means of having a shower over the 4 days. The marine life in this cove was thriving and the most interesting fish I saw while snorkeling was a unicorn fish. Our next stop was Manta Point to snorkel with the giant manta rays. Before I even jumped into the water I had already spotted one swimming directly beneath the boat. It was HUGE, the wingspan was around 4-5 meters wide! I grabbed a snorkel set and dove head first off the boat. These gentle giant rays are so chill and fascinating I could have swum with them for hours! 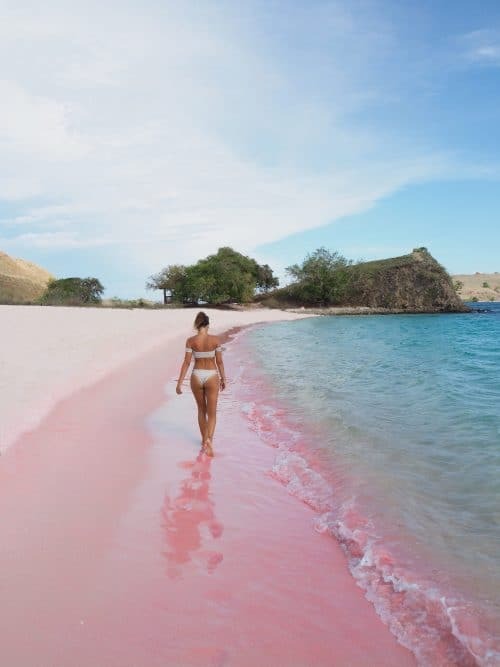 Our next adventure was to Pink Beach which is located on Komodo Island. The crystal clear water and pink sand make this beach one of a kind! I took a short hike to a nearby peak to get an aerial view of the pink beach and then I also found some epic cliffs on the other side. It was scorching hot and there was barely any shade, so I ran back to the beach to cool off! The Live-a-board boat sailed through the night and we arrived to jetty at Komodo National Park at around 7am. We were the first group to arrive on the island which was excellent. 3 local guides gave the group a quick introduction about the tour and then lead us into the forest in search of the Komodo Dragons. The guides each carried a long stick which they use to fend off the dragons if need be. About 5 mins into the trek we came across a male Komodo hanging out in his nest. He wasn’t bothered by us at all… just lay there lazily poking his forked tongue in and out. The guide was very informative about the life cycle of these giant lizards and it was interesting to learn all about it. Apparently, they can reach up to speeds of 40 km/h (…yeah, as fast as Usain Bolt!) and their bite is deadly as they have a lot of bacteria in their mouths… enough to kill a human in a week. I got a little closer to get some photos and then he looked me right in the eye and slowly got to his feet. The guide told me to get out of the way quickly as the dragon started to walk out of its nest. It still wasn’t bothered by me or the group at all and just waddled away into the bush. Further along on the hike, we came to find around 7 Komodo’s lazing under some trees in the middle of the bush. As aggressive as these creatures could be, I found them to be quite humble and docile when not provoked. 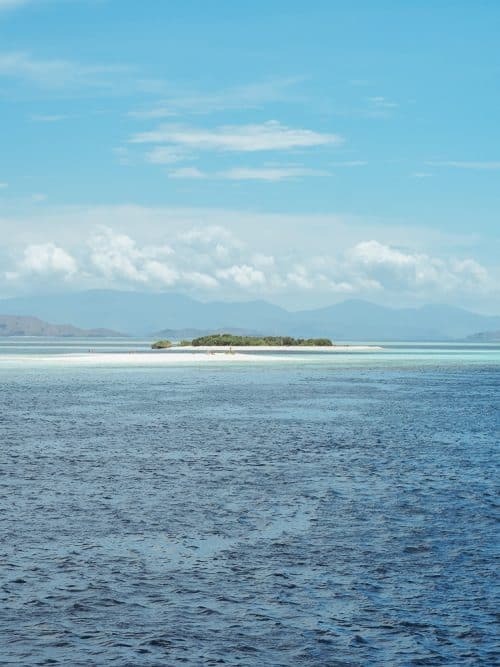 Once again we were all ushered back to the boat and made headway for Rinca Island. This is another national park with wild Komodo’s. We were greeted by another 3 guides who led us to find some dragons. It seemed like we were the only group on the island again. The hike on Rinca was a little more intermediate and we saw around 10 Komodo dragons, along with some epic views of the surrounding beaches. The last leg of the trip was a 2-3 hour sail into Labuan Bajo Harbour, Flores and I thanked the crew for their excellent hospitality as I got off the boat. 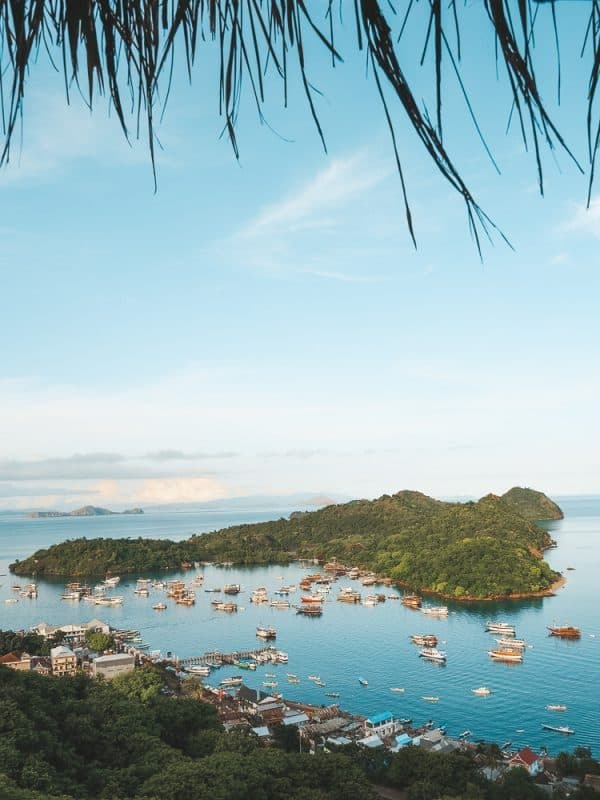 I spent an extra two days in Labuan Bajo to explore the area and I based myself at Ciao Hostel which had the most incredible views overlooking the bay. A couple of days later I took a flight back to Bali from Labuan Bajo Airport in Flores. 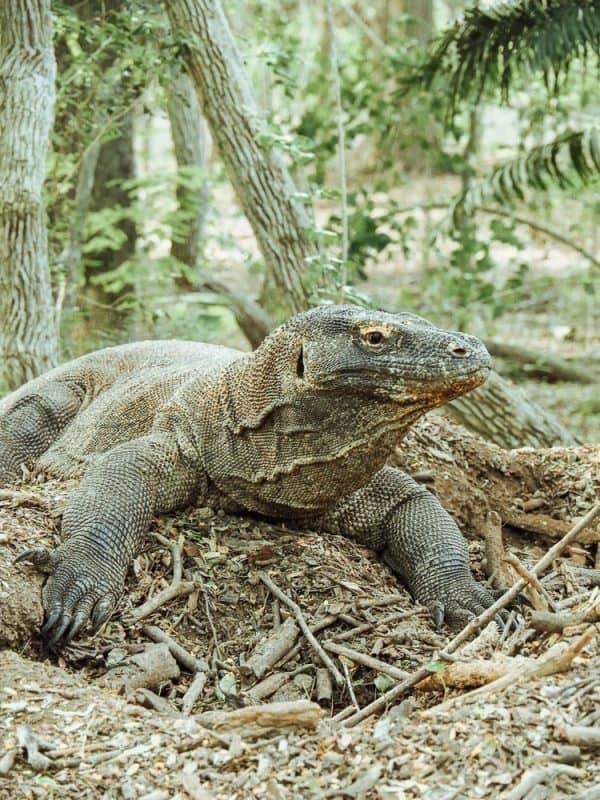 Please leave me a comment below if you have any questions about the Komodo Island Tour and I will get back to you as soon as I can. Hi! Loved your trip, im planning on doing it now in February. How was your company called? (Ive read some really bar and dangerous experiences on trip advisor). And then from Labuan went back to Bali? Great, glad you loved it! I can’t remember the name of the boat company sorry, I booked the cheapest option through a random tourist desk in Canggu, Bali. I didn’t read any reviews before going but just try to avoid wet season. You should be fine to go in february. Hopefully the seas will be calm for you. Yes I caught a flight from Labuan Bajo back to Bali. You can also spend longer on the boat and it takes you back to bali and stops at different islands on the way back.